Founded in 2015, ForColumbia has a simple mission: Bring Columbia Christians together to share God’s love by serving their community. ForColumbia organizers bring together volunteers from Christian churches throughout the city to help individuals and nonprofits in a citywide day of service. The first year, 11 churches took part. This year, ForColumbia hopes to bring more than 2,000 volunteers from nearly 50 churches together on Saturday, April 28, to serve at around 50 projects at multiple locations in the Columbia community. Mayer oversees ForColumbia’s operations, reaching out to find both volunteers and needs they can serve. Those unable to volunteer physical labor, such as painting or planting, can help in other ways. 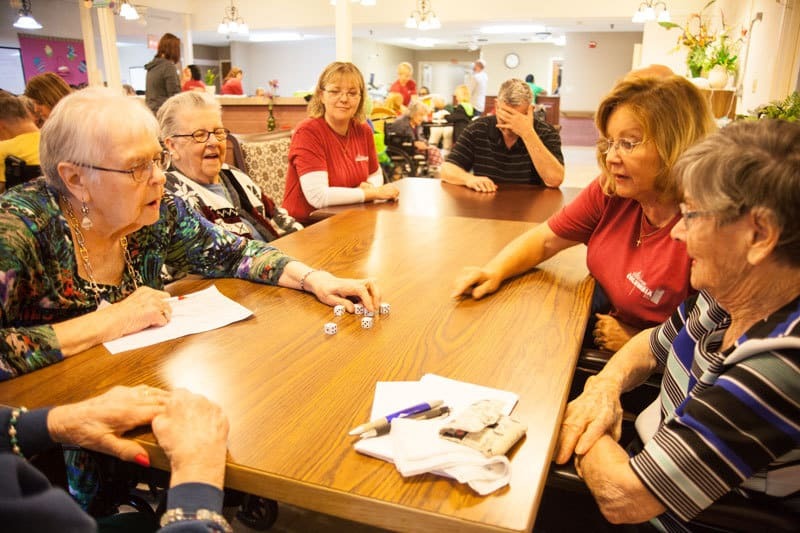 For instance, visiting with residents of a nursing home and helping them with crafts or projects. Another option is through praying. Every ward in the city will have at least one prayer hub where Christians can gather to join in prayer in support of the citywide efforts of ForColumbia volunteers. Last year, volunteers with ForColumbia served at more than 100 locations, Mayer says. Even though ForColumbia unites volunteers from Christian churches, anyone in the community is welcome, regardless of whether they attend a church or not. Once someone registers, they’re placed in a service opportunity based on their responses. The Crossing has been involved with ForColumbia since the program’s creation, Simon says. No one person is credited with starting ForColumbia. Several people over several years had the idea of churches working together and it finally it took off. It’s a great way to work with other churches in our city, Simon adds. He points out that people become comfortable within a bubble of their own church, but when churches come together to help the community like ForColumbia, it allows for a larger community. Cor, a nonprofit benefitting middle and high school male athletes, has been involved with ForColumbia for three years. 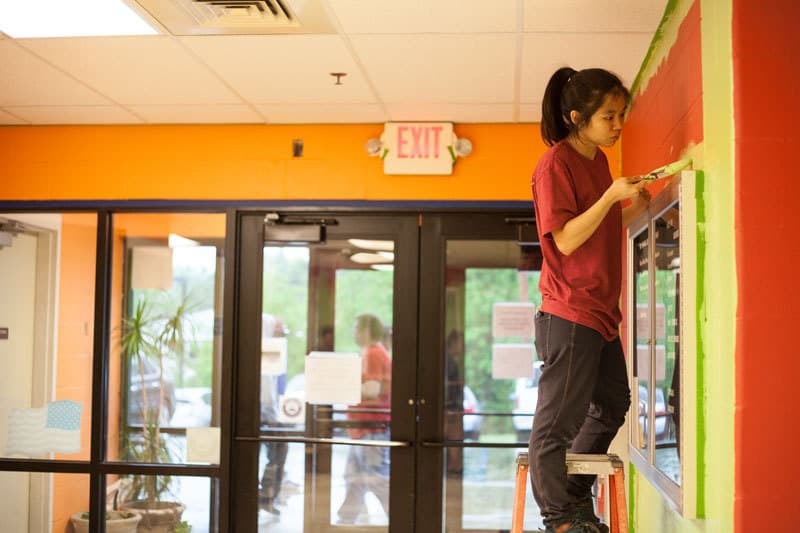 Volunteers do anything from cleaning to organizing of the building to painting and laying new flooring — any maintenance work the organization might need. Angie Azzani, co-director of Cor, says they first became involved with ForColumbia after receiving a call from Mayer to see if they would be interested. “We all go to The Crossing, so we were familiar with ForColumbia and had volunteered at different organizations,” Azzani says. Stephen McBee, a member of ChristianFellowship, volunteered last year with ForColumbia and is planning on volunteering this year as well. Jarrett Whistance, another Columbia local and a member of Woodcrest Church, has volunteered with ForColumbia since its beginning. Last year he was a site leader and gained an appreciation for the leadership side of volunteering.